MADRID (AP) — The Spanish players’ association remains against the league’s plan to play a regular-season match in the United States despite receiving more detailed information. The association was not convinced by the league’s update and said on Monday it still disapproved of the Girona-Barcelona game planned for suburban Miami in January. It said the league still lacks the necessary approvals from other stakeholders, and it can’t guarantee the union contract won’t be breached. The association doesn’t have a final say on whether the game actually happens, although players recently did not rule out a strike if their demands are not considered. They complained about not being consulted by the league before the idea was presented. The association’s latest announcement came three days after the Spanish soccer federation refused to approve the match, putting the plan in serious doubt. The federation requested more documentation from the league after saying it failed to show the overseas match would comply with Spanish and international regulations and TV broadcast contracts, and that it would not harm the other 18 league clubs and the fans of Girona and Barcelona. The match would also need to be approved by the U.S. soccer federation, plus continental bodies UEFA and CONCACAF. FIFA’s permission is not mandatory but president Gianni Infantino recently expressed his concerns about the game. Spanish league president Javier Tebas again defended the match, saying football needs to catch up to what other sports have been doing to try to keep growing internationally. “If we don’t keep working to try to grow, other competitions and other sports will leave us behind. We have to be different,” Tebas said on Monday at a soccer conference in Madrid. 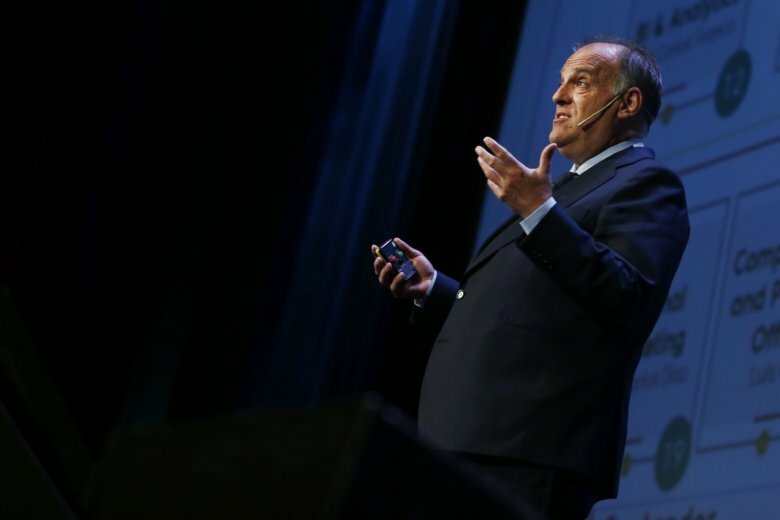 Tebas said he was surprised by the amount of negative reaction to the proposal. Earlier Monday, European Club Association chairman Andrea Agnelli, Juventus’ president, said he “take(s) his hat off” to Tebas for taking the initiative and working to expand the Spanish league globally. The league plan to play games in the U.S. is part of a new 15-year partnership with sports and entertainment group Relevent, which operates the International Champions Cup, a tournament of club friendlies during the European offseason in July and August around the world. The Spanish federation held its season-opening Super Cup abroad for the first time in August, with Barcelona beating Sevilla in Tangier, Morocco.